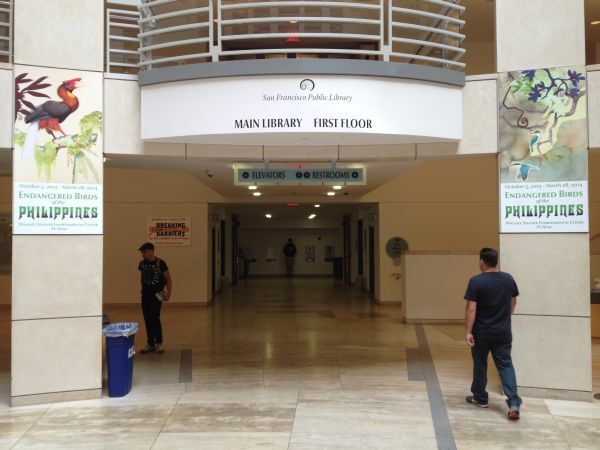 Artist Talk – October 19th at 1:45pm in the Koret Theater. 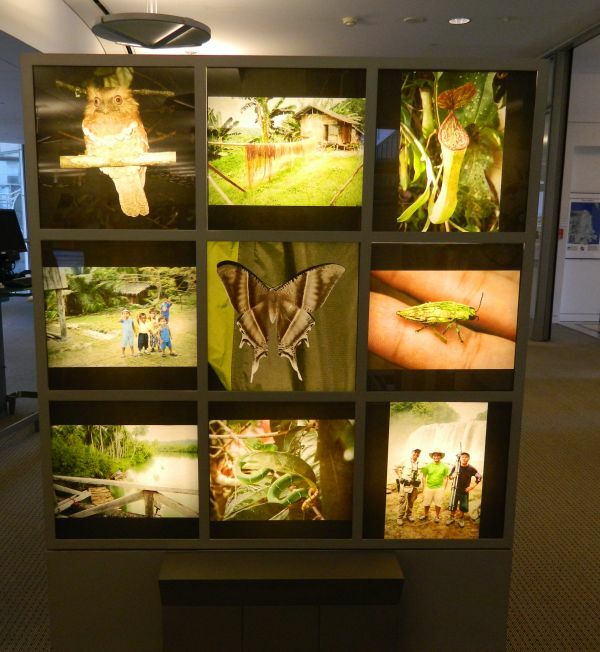 Jeepney Projects Worldwide gave a presentation about their inspiring trip to Mindanao to see the Great Philippine Eagle, its fragile future, and the incredibly rich bird life of the Philippines. 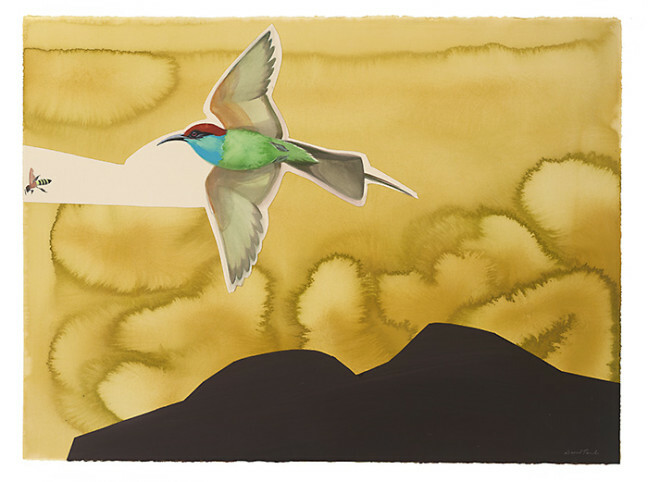 The San Francisco Public Library, in conjunction with Jeepney Projects Worldwide, is pleased to present Endangered Birds of the Philippines, with mixed media works on paper by David Tomb, through March, 2014. 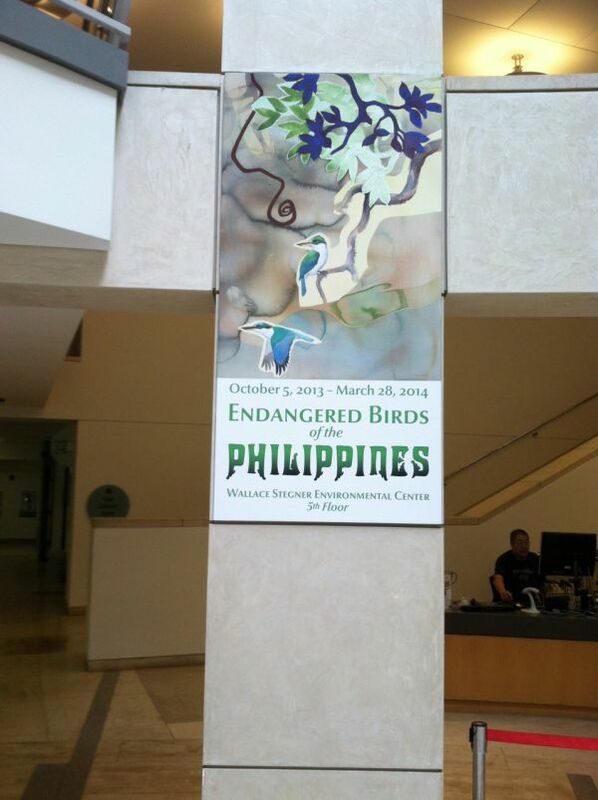 The exhibition features artwork celebrating the iconic and critically-endangered Great Philippine Eagle and other endangered birds of the Philippines, including the Rufous Hornbill. Tomb’s latest artworks are luminous and colorful paper assemblages with subtle low-relief elements that help convey spatial depth, as well as the ambiguous and mysterious jungle terrain of the Philippine island of Mindanao. Through this project, Tomb and Jeepney Projects Worldwide bring attention to the challenges and tensions these grand birds face in order to survive and share a sustainable future with an ever-growing Filipino population. David Tomb is a co-founder of Jeepney Projects Worldwide: Art for Conservation, an organization that partners with regional conservation groups to inspire, support, and help restore lost habitat of critically endangered birds. In January of 2011, Tomb and the Jeepney team visited Mt. Kitanglad on Mindanao to see wild nesting Great Philippine Eagles and other endemic birds. Jeepney has since partnered with the Philippine Eagle Foundation, creating limited edition fine art prints to raise funding for research and public outreach/education concerning the Great Philippine Eagle. Tomb has exhibited in galleries, universities, and museums extensively across the United States and has been published widely including the New York Times, The New Yorker, and Harpers. Tomb’s work is in many public collections including the Fine Arts Museums of San Francisco, the Huntington Library, and the Consulate General of the United States in Tijuana and Ciudad Juarez.